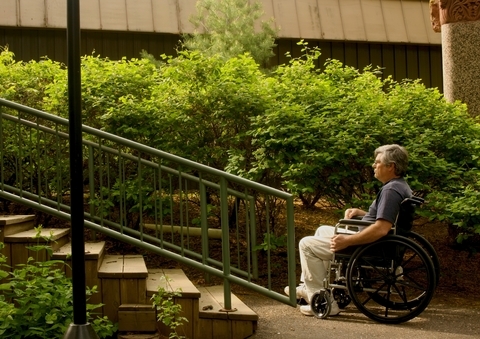 People living with disabilities face a significant problem – the lack of affordable, accessible housing. Approximately 54 million Americans have at least one disability, constituting the largest minority group in the nation. People with disabilities often spend a disproportionate share of their income to secure housing that is both safe and suitably accessible. Federal guidelines define housing as “affordable” if total costs, including rent, utilities, insurance and taxes, don’t exceed 30 percent of a renter’s household income. Individuals currently eligible for Supplemental Security Income (SSI) in California receive $854.40 per month, while couples receive $1,444.20. Under the 30 percent housing affordability guidelines, an individual living solely on SSI should pay no more than $256.32 per month for housing and a couple no more than $433.26. With this in mind, affordable housing is nearly impossible for people with disabilities to find and thousands and thousands of names are on waiting lists throughout the state. According to experts in the industry, education is the key to making a difference. Individuals need to be made aware of programs and agencies that are working with lenders, housing authorities and service providers in creating innovative housing options, such as “smart-home” technology, within their locale. Experts also believe it’s imperative for people with disabilities to talk to elected leaders about their real-life experiences and the need for policies that improve affordability and accessibility.